The next step is to select the installation base folder. By default the contentACCESS server, contentWEB and the Central Administration installs in C:\Program Files\TECH-ARROW folder. 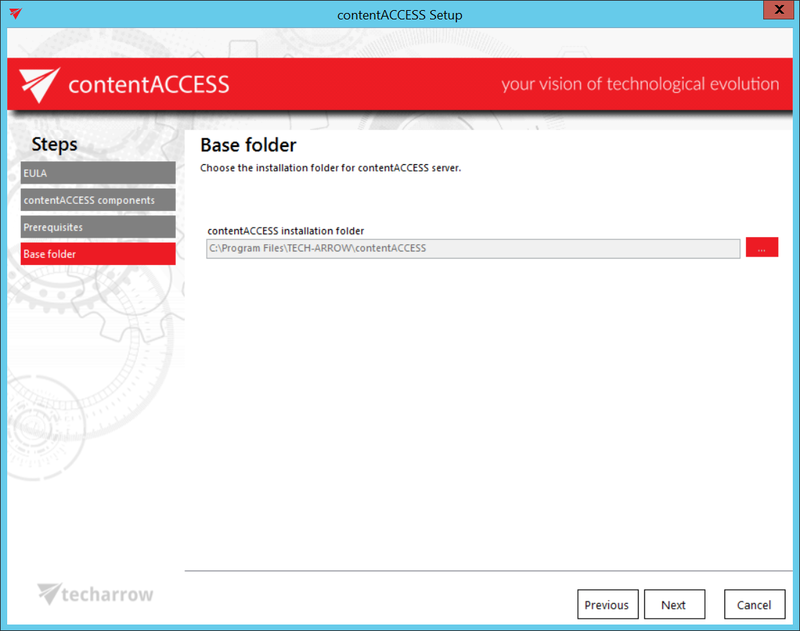 Other components are automatically installed one level deeper, in the base foldercontentACCESS folder. So if the default base folder is set, then the further components are installed in C:\Program Files\TECH-ARROW\contentACCESS folder. The installation folder can be changed. Click on the button and browse for the desired destination. Click NEXT.